I could never claim to be an astrophysicist, or even claim to understand much about these things. But I have subscribed to the kind of magazines that tell stories about these things for many years and there is something that amazes me about the sky. With our telescopes, we have gathered visible and invisible light and radio-wave information to create images of stars, galaxies and constellations that are further away from us here on earth than we can imagine. Indeed the light which we have used to create the images has been travelling towards us for millions of years so what we say we are seeing now is really what was there those millions of years ago – maybe it has all changed. I suppose you are like most people, feeling more comfortable thinking about rather more solid things much closer to home – like the chair you are sitting on, or the building that we are worshipping in. 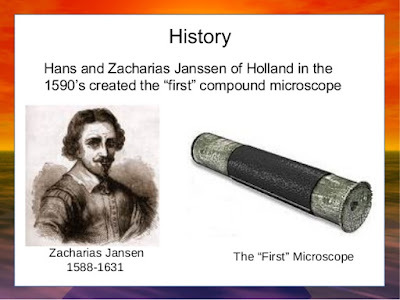 In the mid to late 16th century, as scientists were experimenting with glass lenses, Zacharias Jensen invented the first microscope and since then we have been one a quest to look at smaller and smaller things. The electron microscope took us close enough to see the particles of atoms, and now we can even see sub-atomic particles. What we have discovered about the world of atoms that make up solid matter in our world is that actually they are far from solid. In fact, I hear recently that if an atom was seen on the scale of our solar system, the electrons flying around the nucleus of neutrons and protons would be as far away from the nucleus as Saturn or Jupiter are from our sun. That seems to me to be an awful lot of space within the atoms that make up solid things. Yet they still hold us up when we stand on them or sit on them. When I think of our world in these two directions, I think I get in touch with the kind of awe that the Bible speaks of when it refers to our response to the Glory of the Lord. The Psalmist did not understand the heavens In the way we do today. As best we can tell, the cosmology of the Psalmists day was based on an image of the earth as a flat disc covered over by a hemispherical dome – the heavens. The earth we stood on and the space between earth and the dome had a specific function – to keep the water back. If you dig deep enough into the earth, everyone knew that you would find water, so the earth is clearly keeping that water at bay. And the rain and hail and snow that falls is obvious let in by God, through the shutters in the heavens, to water the earth so that plants could grow and we had water to drink. That was cause enough for the Psalmist to say these heavens declared the glory of God. Given what we know today, how much more cause have we to marvel at the glory of the Lord. But there is something else in this Psalm that has tantalized thinking believers for thousands of years. and their words to the ends of the earth. But it does kind of boggle my mind thinking about how these inanimate objects we have become familiar with in our universe “speak” or “declare” something to anyone. Let me explore this a little to see if you can get in touch with it. 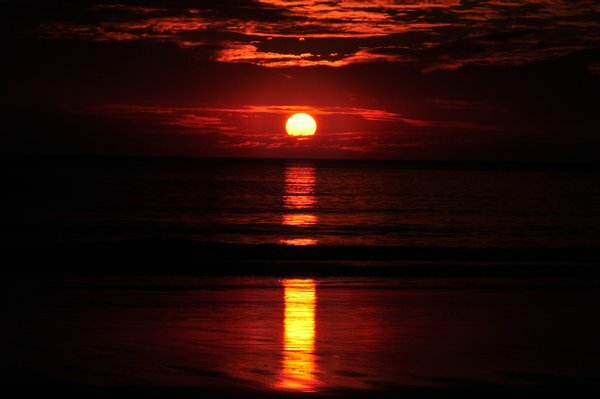 How would you respond if you were sitting on a beach like Cable Beach in Broome, watching the sky over the ocean gradually turn various shades of golden / orange and fading into deep amber before giving way to a bluey-green twilight that preceded the darkness of the night and the gradual brightening of the starry pinpoints of light. Or watching a full moon rise over Roebuck Bay creating the reflections they call a "Stairway to Heaven". A typical human response to that would be awe. The same typical human response as when we consider God our Creator. The ability of the created order to arouse this sense of awe in us is what I think the Psalmist is getting at with these words – that the Heavens do communicate to us without words or voices that this is all an expression of the glory of God. And so we join with the Heavens in praising God, in declaring his glory, in responding in awe.